Why Is There A Castle On City Road? Laura Reynolds Why Is There A Castle On City Road? Walking up City Road from Moorgate towards Old Street, it's all bars, glass office buildings and budget hotels. There's a Tesco Express too... oh, and what seems to be a castle. It's got turrets. It's got ramparts. And it's got a whomping great flagpole. 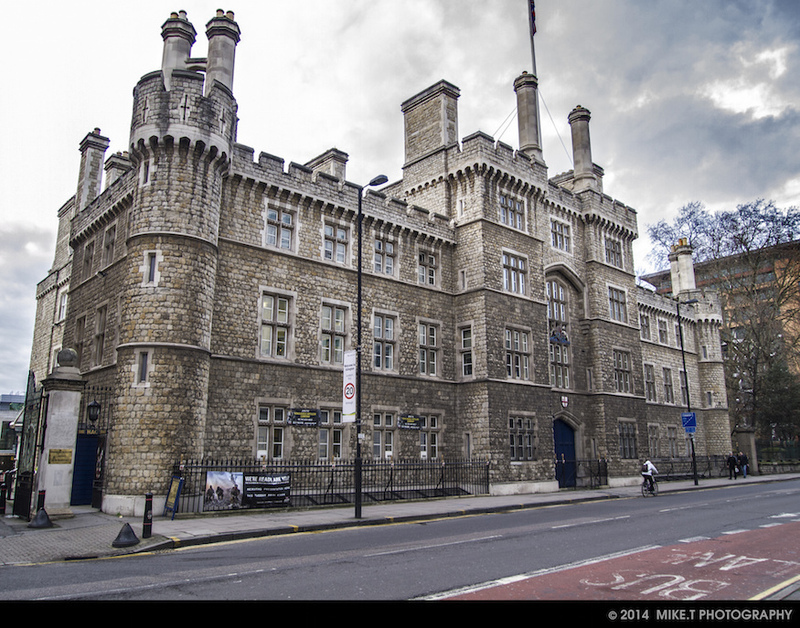 But it's not one of London's lost castles — it's part of the Honourable Artillery Company. 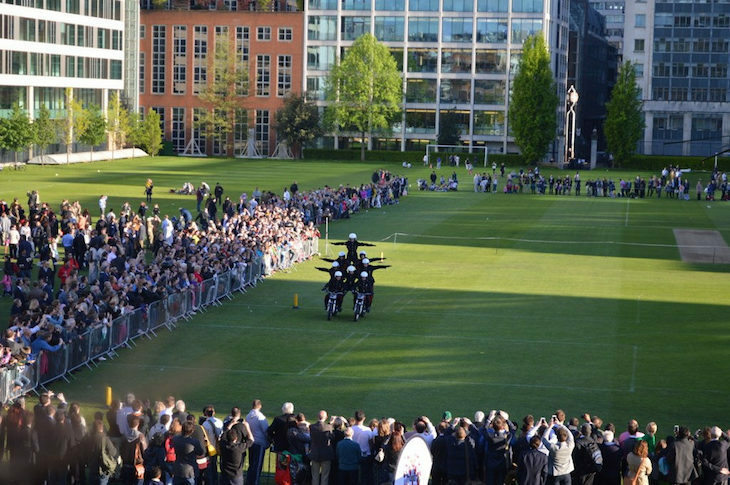 The Honourable Artillery Company is a charity supporting the British forces, although it has a regiment of the army named after it. It also has a detachment of Special Constabulary to the City of London Police. The building itself is called Finsbury Barracks, and was built in 1857, to house the headquarters of the Royal London Militia, and went through the hands of various branches of the forces before becoming part of the HAC. 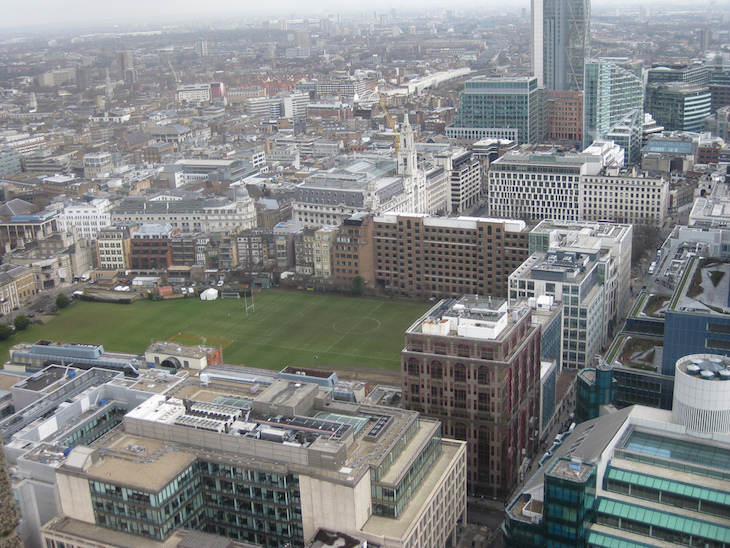 Behind the castle, rather unexpectedly for the City of London, is a large field, more formally known as the Artillery Garden, and used mainly for sports. The field is quite well hidden from public view, ringfenced by the glass and concrete of the City. You can sometimes get a glimpse of it by peering through the fancy gates at the top of Finsbury Street, although more often than not, the view is obscured by a marquee erected for a special event. The Honourable Artillery Company's buildings and grounds are off limits to the public, except for special events. There's usually an open evening in May when visitors can enter the grounds and watch events including marching and shooting displays, demonstrations by police dogs and helicopter flights. Keep an eye on the website for the next event. So there you go — something to look out for among the glass and metal of City Road.